© Loren Coleman, Cryptozoology A to Z, Mothman: Evil Incarnate, and other books. In 2017, several good people have departed from the fields of cryptozoology, hominology and Bigfoot hunting. It was an international group of individuals. These deaths touched many colleagues, associates, loved ones and friends. Our condolences to all, worldwide. Colin P. Groves, 75, died November 30, 2017. 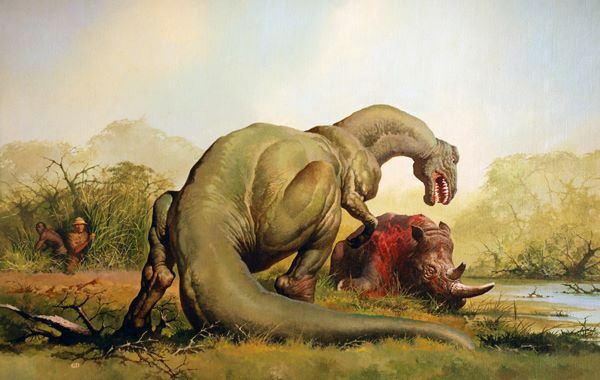 He was a well-known early institutional cryptozoology supporter and anthropologist interested in new species. 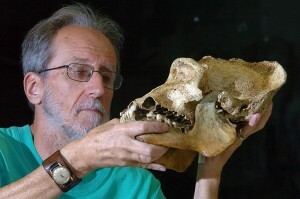 For example, as late as early November 2017, Groves was involved in the work on the discovery of a new species of orangutan (Tapanuli orangutan Pongo tapanuliensi). See Groves obit here. Philip Morris, 83, died September 24, 2017. 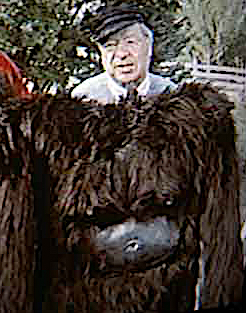 Philip Morris, the one-time circus ringmaster who made gorilla suits in his basement as he built the world’s largest costume distributorship, had claimed for years that he was involved as the maker of the alleged “suit” worn by the supposed hoaxer of the Patterson-Gimlin Bigfoot. 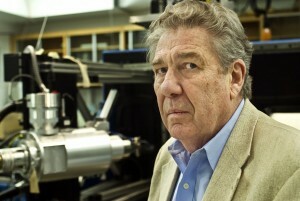 See Morris obit here. Jean-Paul Debenat, 74, died August 31, 2017. 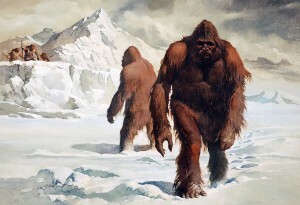 A professor of comparative literature at the University of Nantes, France, he became intrigued with Sasquatch and cryptozoology through his acquaintance with Bernard Heuvelmans and Paul LeBlond, traveling to the Pacific Northwest for further studies in the 1990s. 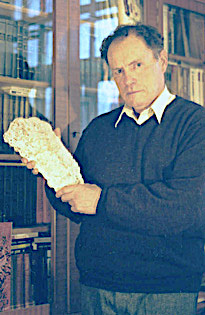 He wrote books on Yetis, Sasquatch, and Almas. See Debenat obit here. Haruo Nakajima, 88, died August 7, 2017. The Japanese actor was famed as the “man” in the Godzilla costume. 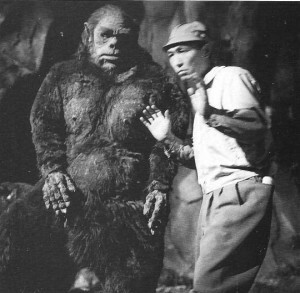 Importantly to scholars of Yeti film history, Haruo Nakajima was a “mountain searcher” seeking the Snowman in the Ishiro Honda film, Jû jin yuki otoko (Monster Snowman, 1955), known in America as Half Human (1958). 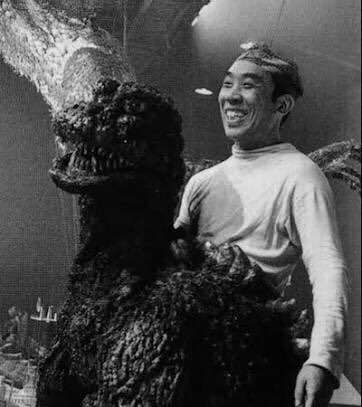 Kaijusaurus has credited Haruo Nakajima as being inside the “baby Snowman” costume (see photo below). See Nakajima death details here. 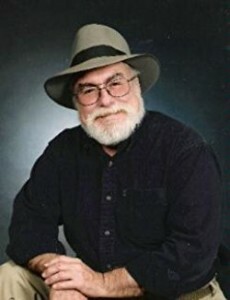 Jim Marrs, 73, died August 2, 2017. 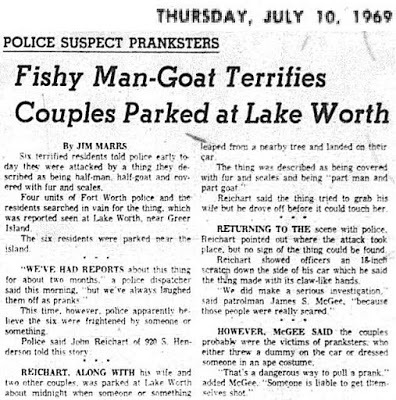 While his career would lead him into the world of conspiracies of JFK, 9/11 and UFOs, Marrs was known as the reporter that first extensively covered the Lake Worth Monster in front page articles on July 10 & 11, 1969 in the Fort Worth Star-Telegram. See Marrs obit here. 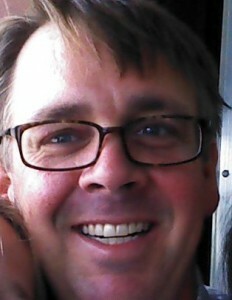 Paul Vella, 48, died July 16, 2017. 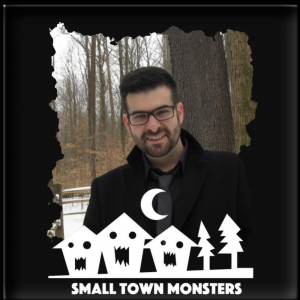 He was a founding member and served on the Board of Directors of The Alliance of Independent Bigfoot Researchers (but resigned before his death) and was an active regional representative for the Centre for Fortean Zoology. 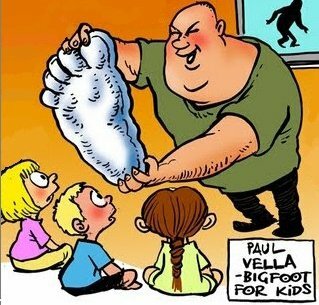 He was known for his presentations to students interested in the Bigfoot question. See Vella obit here. Trevor Beer, 80, died on or near June 22, 2017. 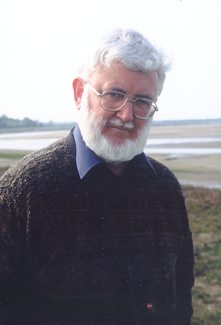 A British naturalist, nature writer, wildlife conservationist and artist, Beer was known for his investigations of and books about mystery cats in the U.K. See Beer obit here. Michael Trachtengerts, 79, died February 21, 2017. Trachtengerts was an active Russian field researcher, a leading member of the Hominology Seminar at Moscow’s Darwin Museum, and the author of Russian books on Almas and hominology. See Trachtengerts obit here. Gino D’Achille, 81, died February 10, 2017. D’Achille, a Roman living in London, had an international reputation as a remarkable artist of science fiction cover paintings of over a 100 titles. 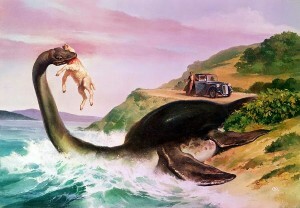 He is remembered in cryptozoology for his Yeti, Loch Ness Monster, and related paintings. 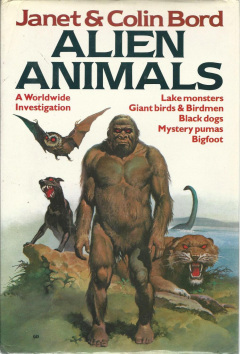 His cover on the Bords’ Alien Animals is well-known. See D’Achille obit here. 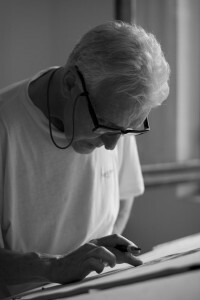 Võ Quý, 87, died January 10, 2017. 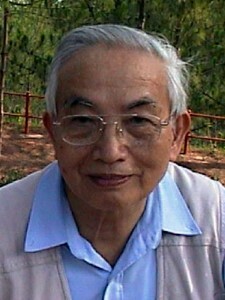 The learned Vietnamese zoologist and professor at the Vietnam National University, Hanoi, was a well-known ornothologist and cryptozoologist. See Võ Quý’ obit here. Warren Allen Smith, 95, died January 9, 2017, shortly after I interviewed him about John A. Keel. In my new Mothman: Evil Incarnate (NY: Cosimo Books, 2017), there is my interview (pp. 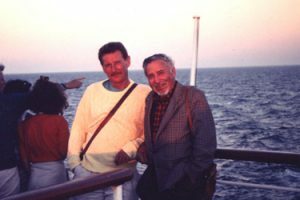 20-21) with John A. Keel’s last assisted care roommate before Keel’s death. 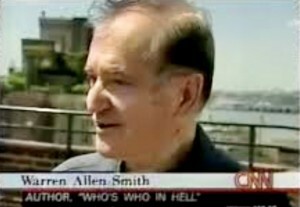 Warren Allen Smith was a well-known gay activist & author of Who’s Who In Hell (2000) and Celebrities in Hell (2010). Sources: 1, 2. Alan Walker, 79, died November 20, 2017. 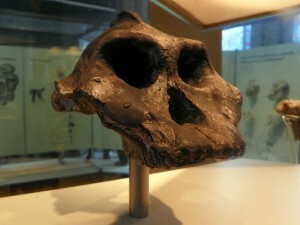 Walker was a British paleoanthropologist and the discoverer, in 1985, of the “Black Skull,” Parathropus aethiopicus, a fossil hominoid that serves as a possible species theorized to be related to Bigfoot-type creatures. See Walker obit here. Wil Inge, 46, died May 19, 2017. 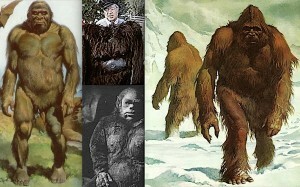 Inge was a Bigfoot fan and friend of other online Bigfooters, with a major social media following. See Inge obit here.